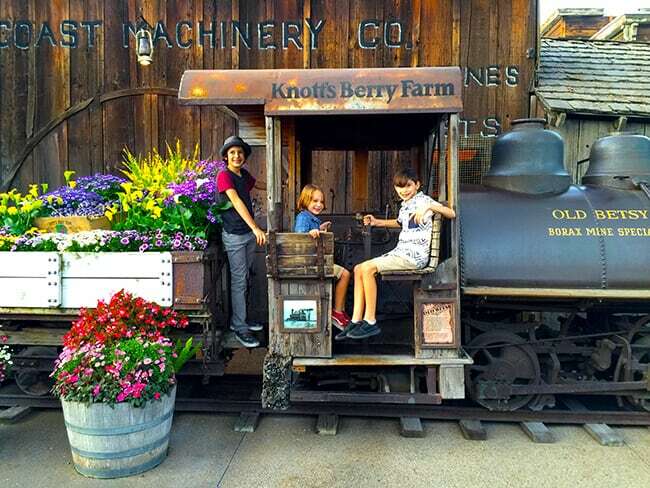 it’s Boysenberry Festival time at Knott’s Berry Farm. 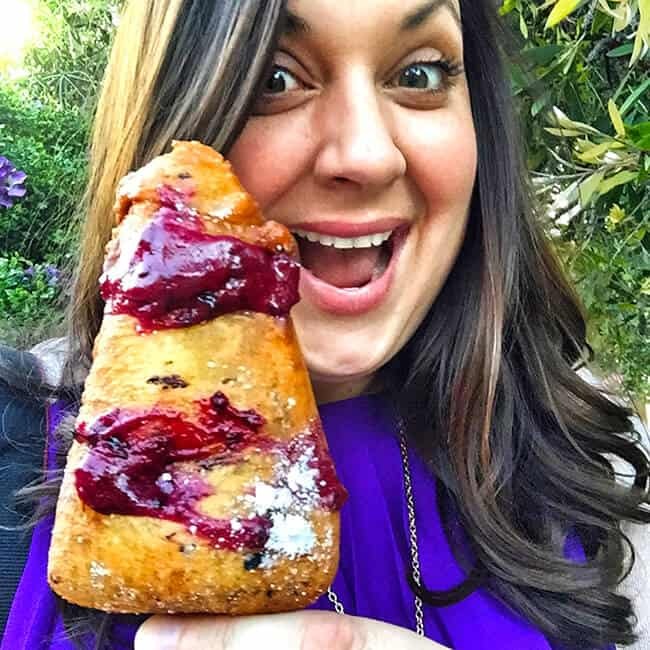 and if you’ve been watching my social media accounts this past week, then you’ve probably seen a bunch of yummy boysenberry photos pop-up. 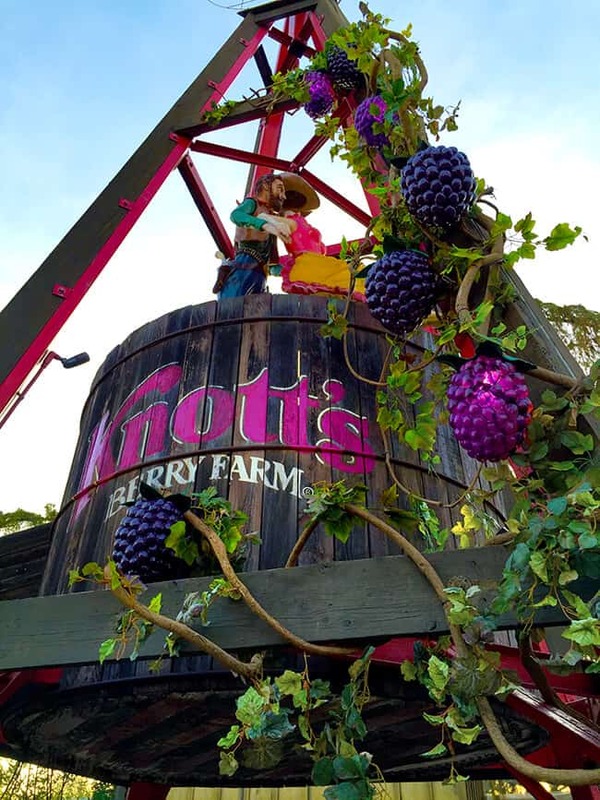 the Knott’s Berry Farm Boysenberry Festival is one of my favorite events held at Knott’s – it only happens once a year for two weeks, so you have to make sure not to miss it or you’ll have to wait another year before it returns. 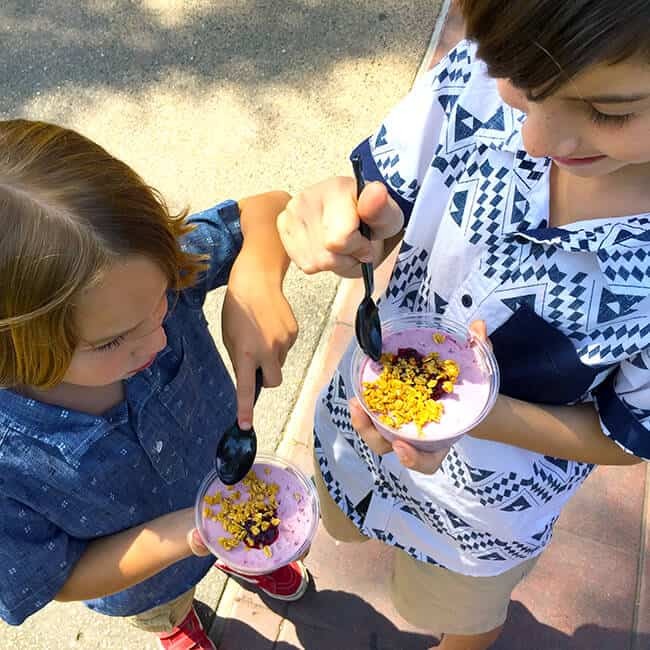 did you know that Walter Knott created the boysenberry? that’s why it’s so iconic to the Farm. 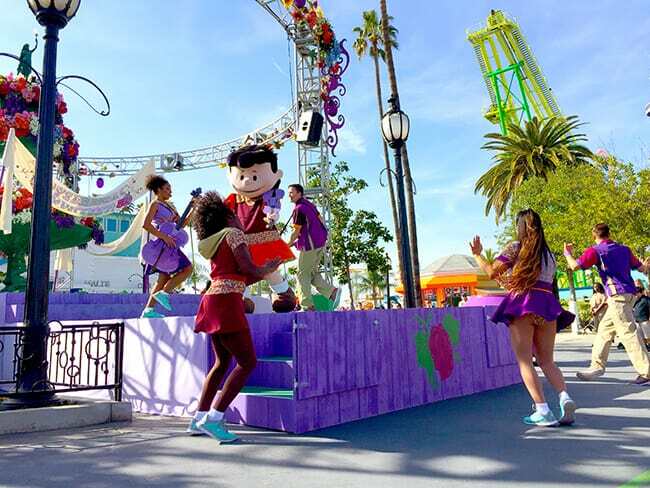 during this time of year, the Farm is done-up for spring and beautiful flowers, larger than life boysenberries and Snoopy and the rest of the Peanuts gang are all dressed up for the occasion. 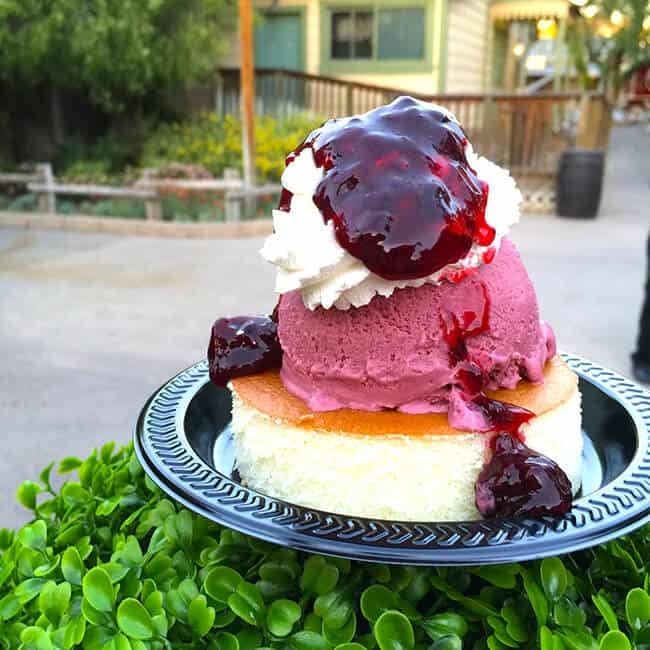 when you go to the Knott’s Boysenberry Festival, plan on coming with an empty tummy, because with over 70 boysenberry items available, you are going to want to try them all. 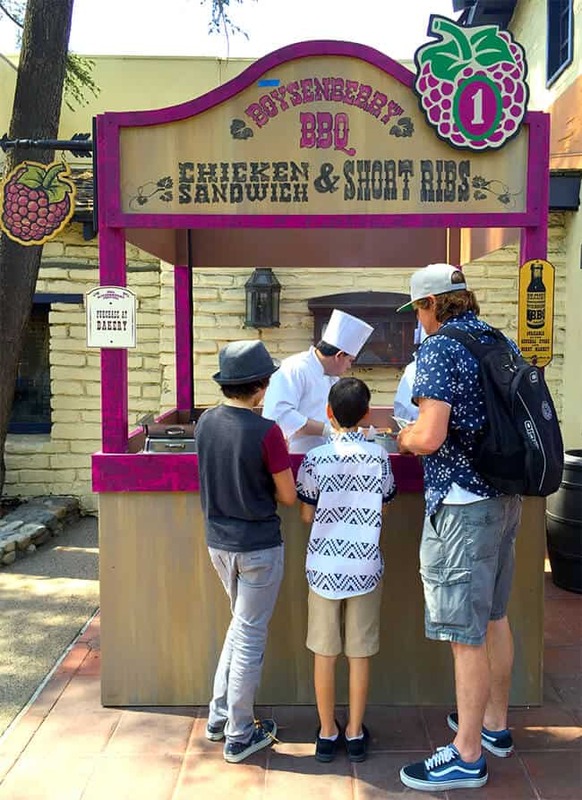 from boysenberry pie to boysenberry short ribs…there is something fun to satisfy everyone’s boysenberry fancy. 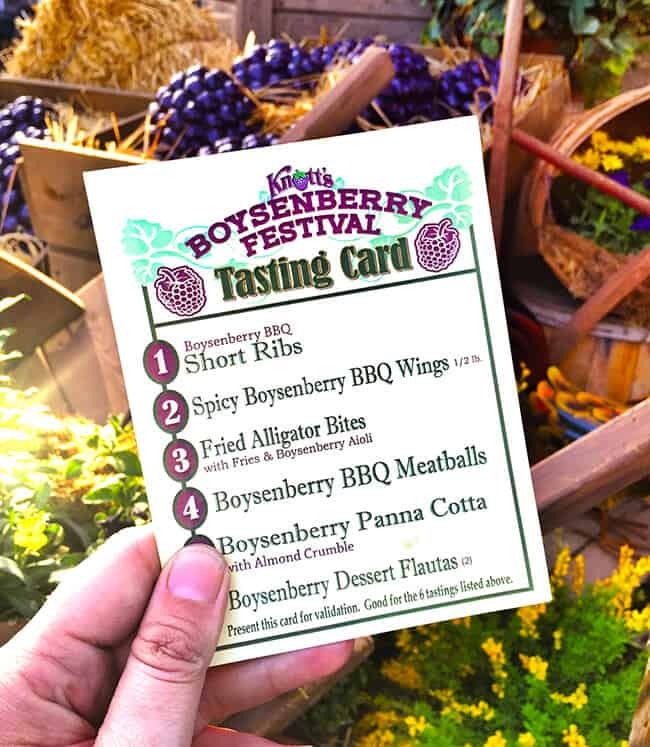 the best deal of the festival is the Boysenberry “Tasting Card” which can be purchased for $25. 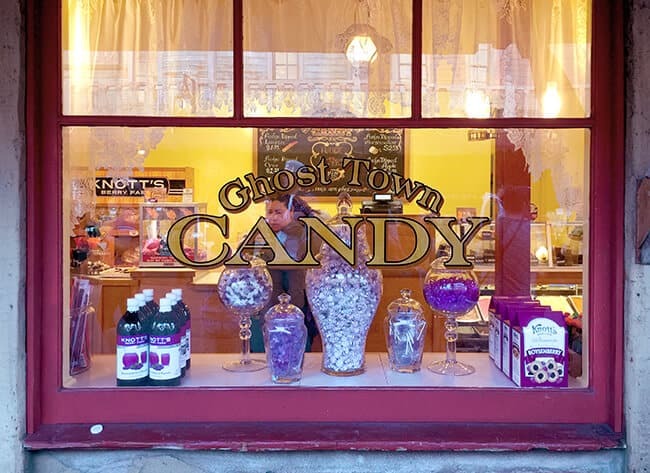 This gets you 6 boysenberry food tastings which you can pick up at your leisure around Ghost Town. each item can be redeemed anytime during the festival. 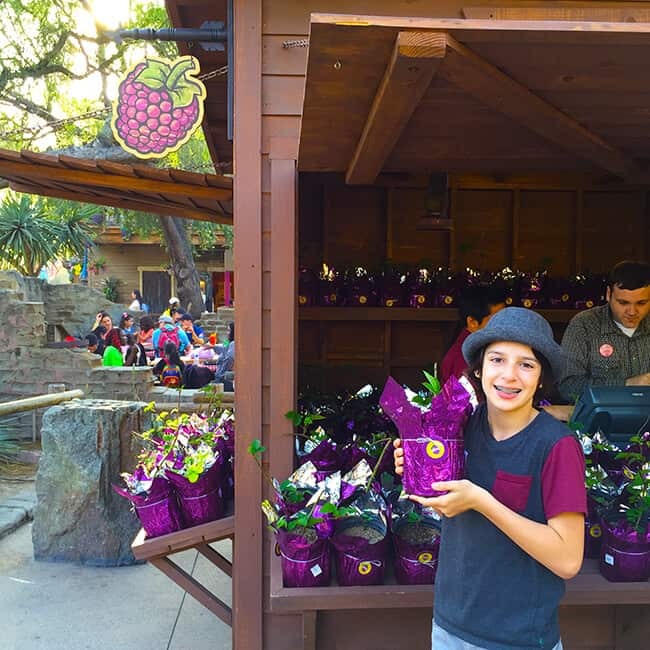 get one per person or share it so that you can also try other fun boysenberry items throughout the day. there is so much to choose from that you will probably need to come multiples days! 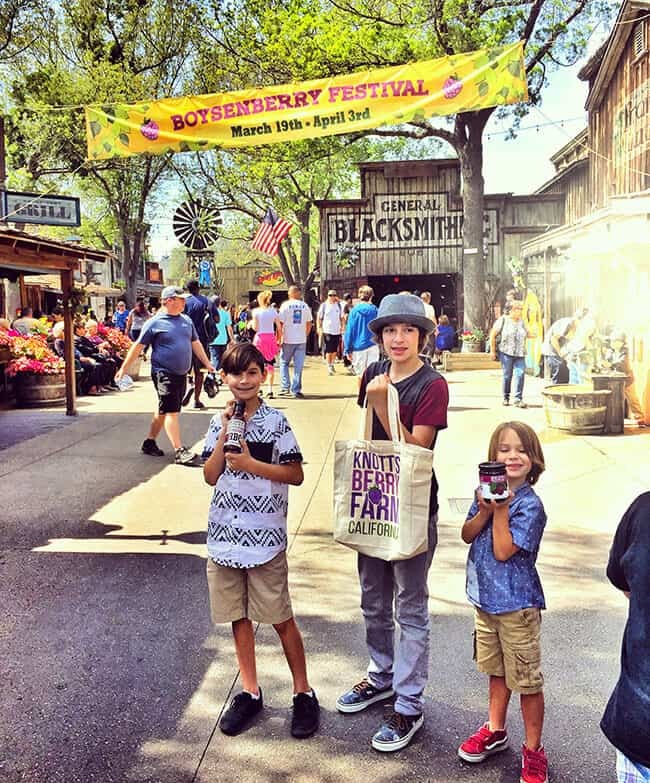 all of my boys…including the hubby, look forward to going to the boysenberry festival every year. 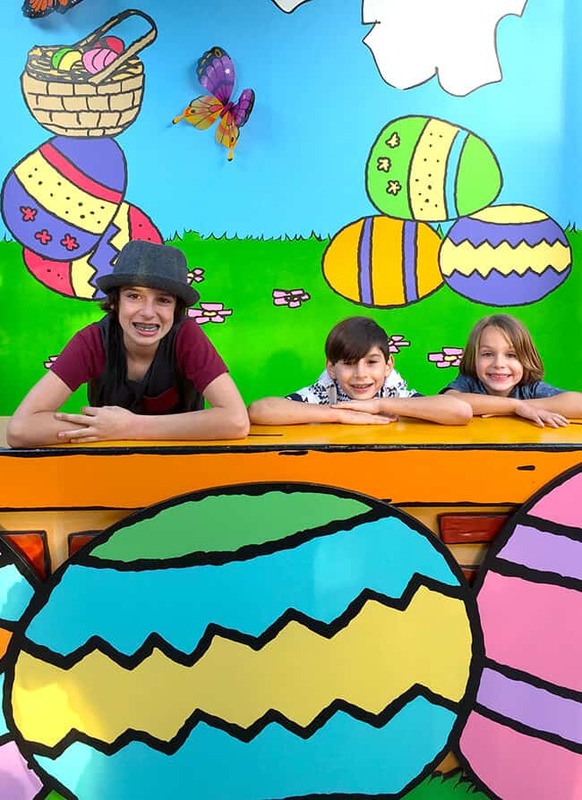 they all have there favorite boysenberry items that they want to get. my youngest has been begging for the grilled can with boysenberry butter and a boysenberry Icee for weeks. so of course we had to get it for him. i might have even shared it with him. my oldest son loves the meat items. the short ribs and the meatballs with boysenberry sauce were his favorites. 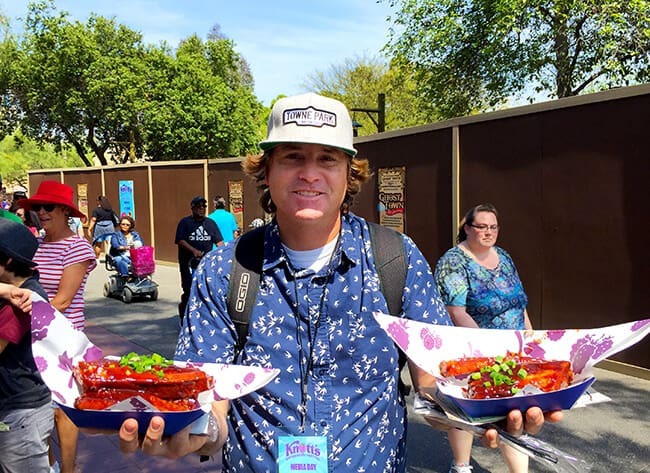 but he passed on the alligator with boysenberry aoli, even though everyone told us it was really yummy and tasted like chicken. 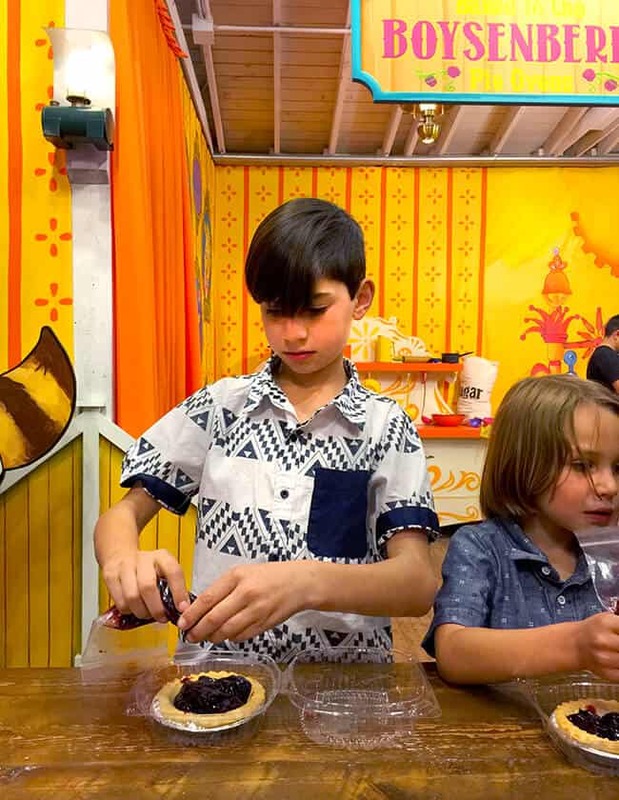 my middle son loved making his very own boysenberry pie in the Beary Tales Pie Kitchen. for just $5.99, you can make your own mini pie and decorate it with homemade whipped cream. 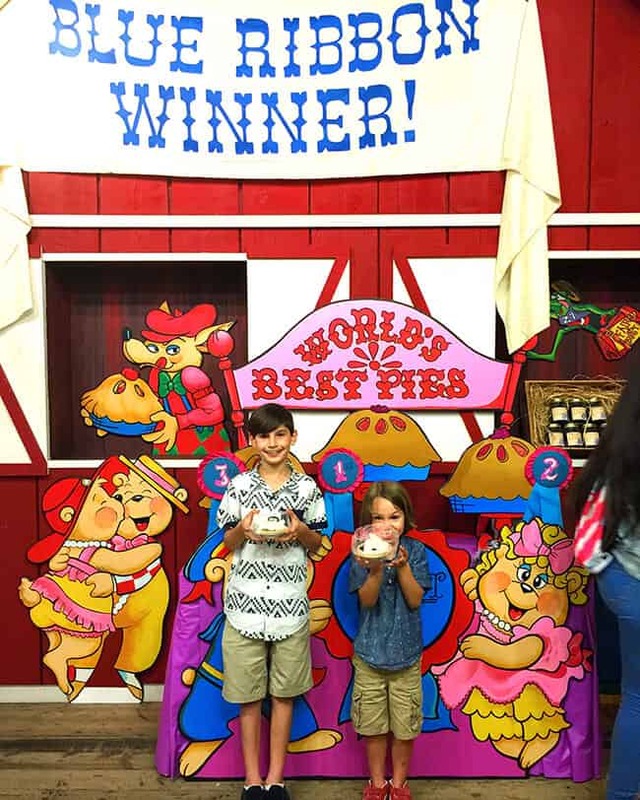 and while you are visiting the Beary Tales Pie Kitchen, kids can play boysenberry games and check out the Beary Tales bears activities. this brings back so many memories from my childhood. 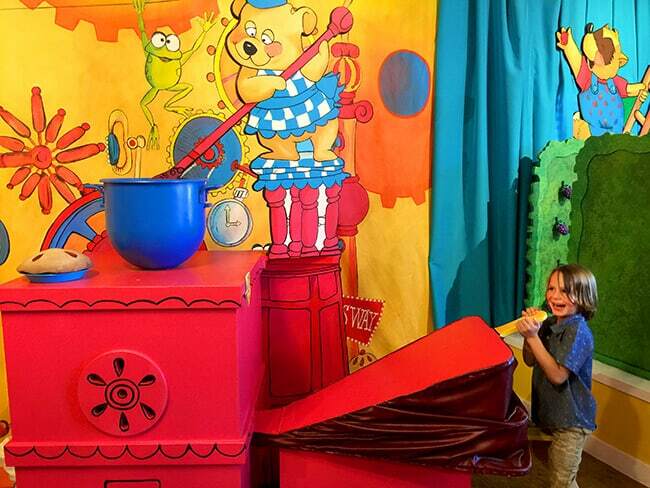 i wish they would bring back the Beary Tales ride. 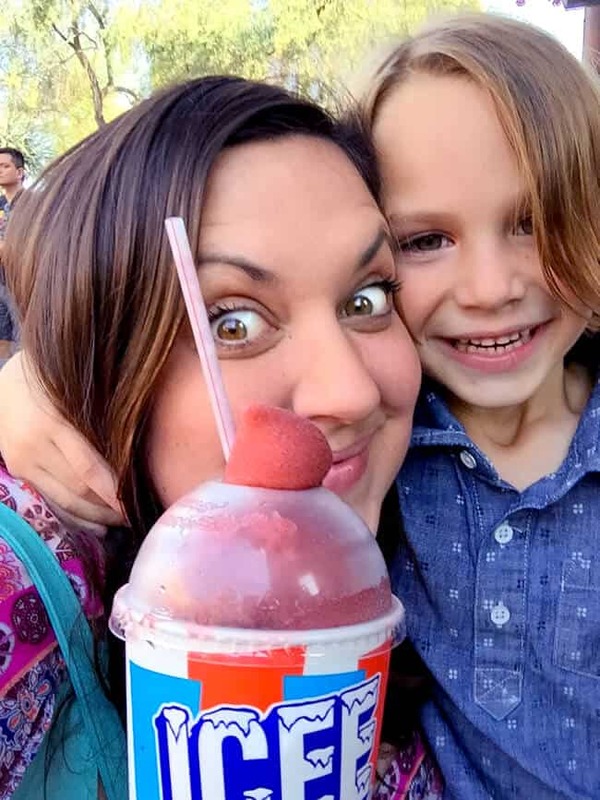 me, having such a big sweet tooth, i enjoy all the desserts and sweet treats at the Boysenberry Festival. 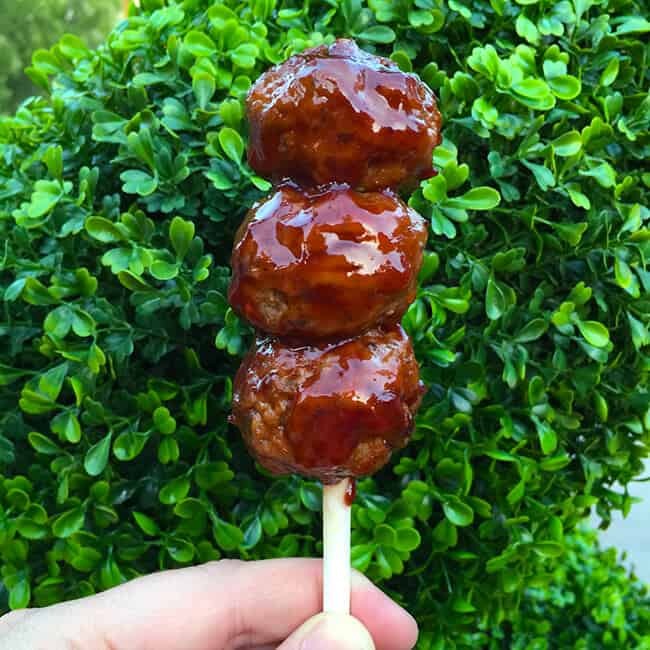 Knott’s signature item is the FUN BUN!!!!!! 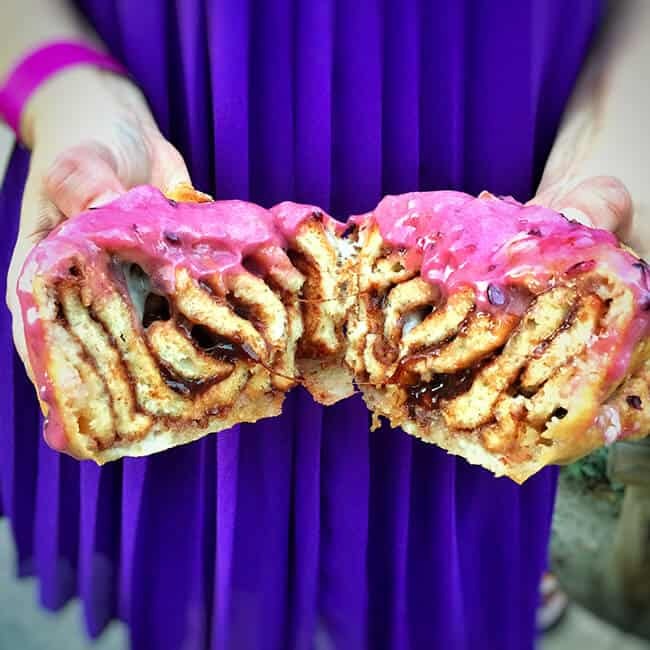 a giant cinnamon roll dipped in funnel cake batter, fried and then topped with boysenberry cream cheese frosting. 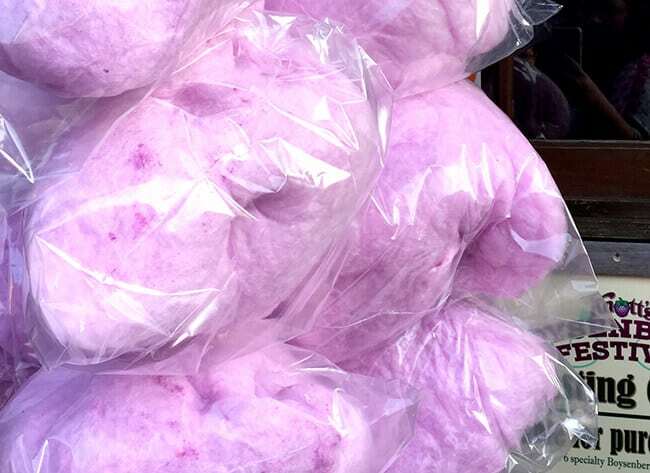 it really is amazing…and ooey gooey boysenberry delicious. 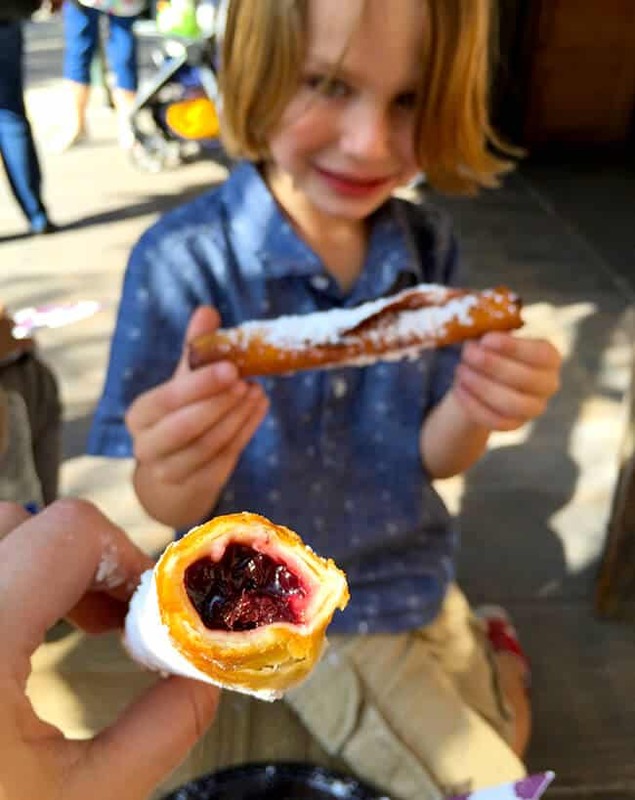 other boysenberry treats include….boysenberry cotton candy, boysenberry trifle, boysenberry panna cotta, boysenberry flautas and even boysenberry candy. 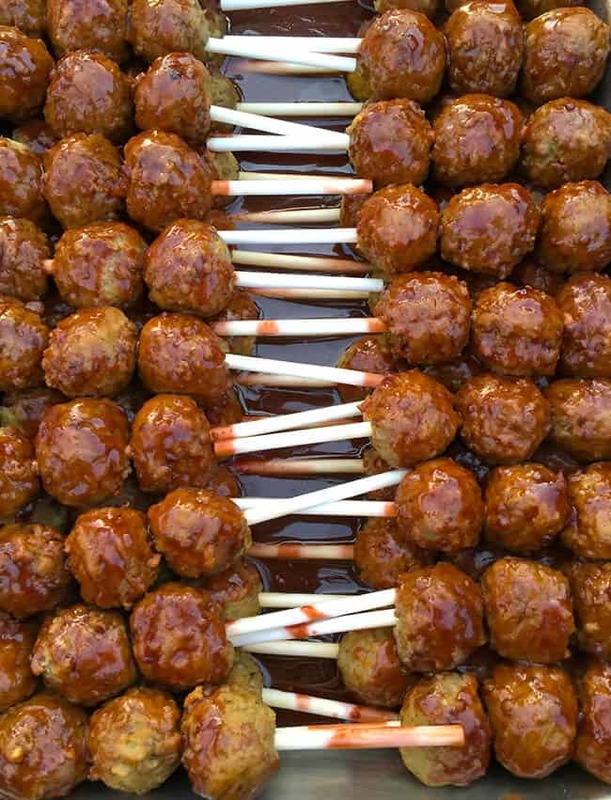 and don’t forget about the FUN STICK!!!! 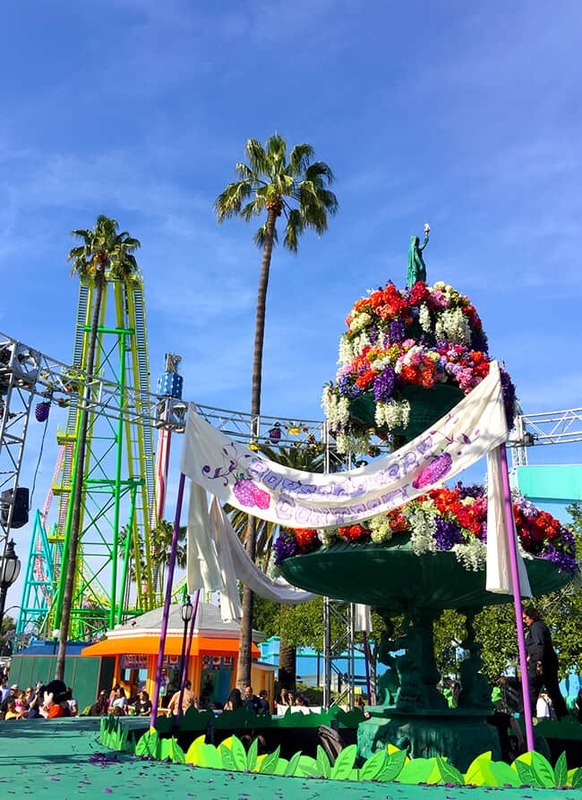 a pice of cheesecake dipped in funnel cake batter, fried and drizzled with boysenberry cream. this was one of my favorites. 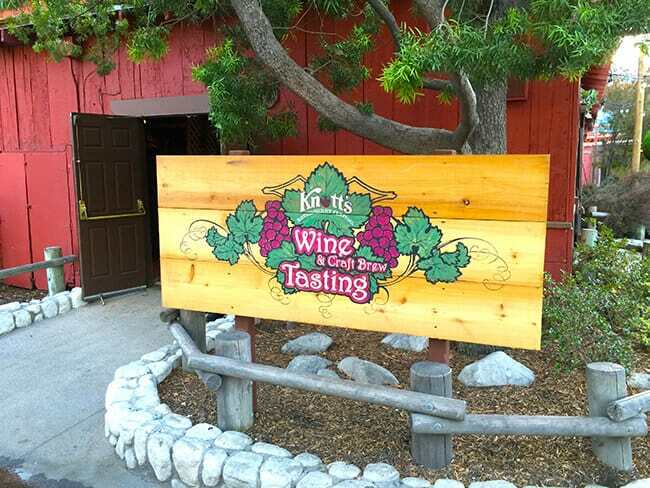 and for those who love wine and beer, you can visit the Wilderness Lodge and enjoys some Knott’s Boysenberry Festival Wine & Craft Beer Tasting. 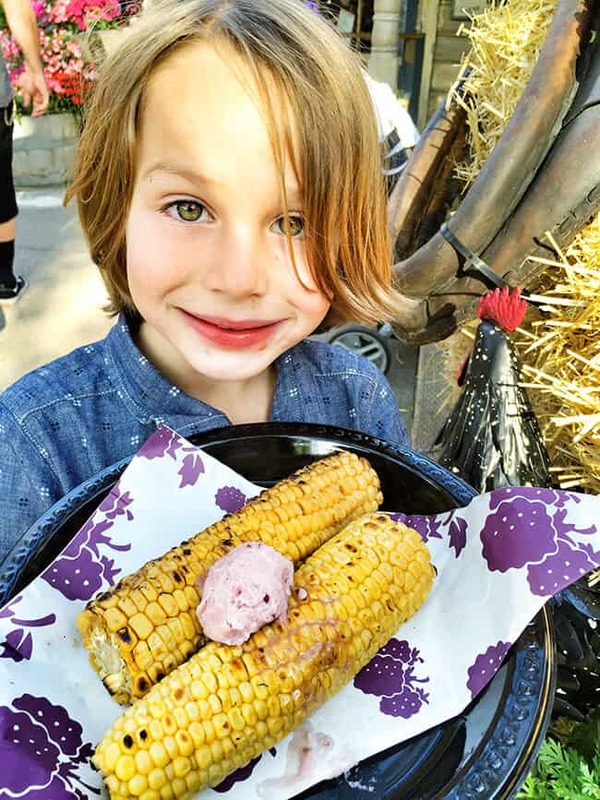 for $25, you can get a tasting card that includes 6 tastings and a plate of fruit and cheese to pair with those tastings. 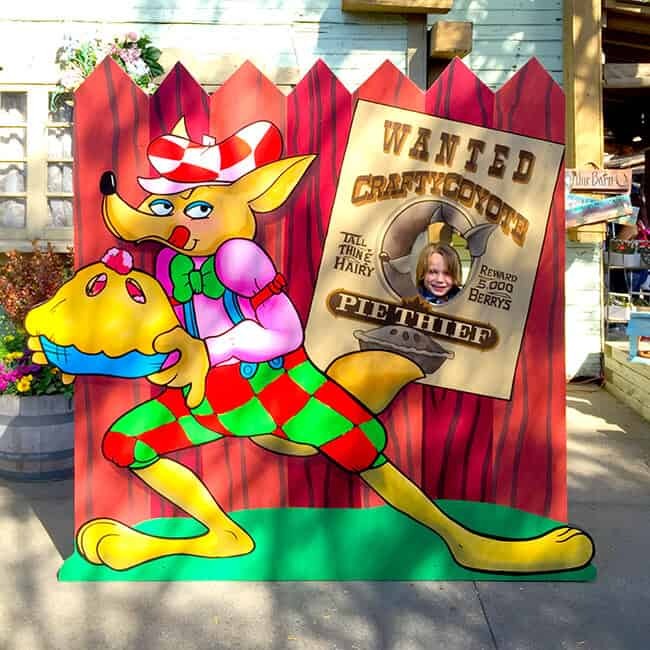 besides the boysenberry food, there is are also lots of spring fun happening on the Farm. 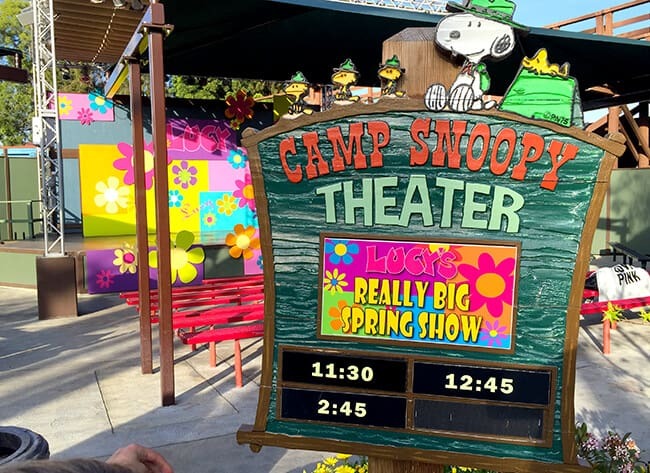 from flowers, to spring decorations, fun photos props, shows happening in Calico Square, Lucy’s Really Big Spring Show in Camp Snoopy, Salsa Dancing in Fiesta Village and Peanuts Party in the Park in the iconic Charleston Circle around the fountain. 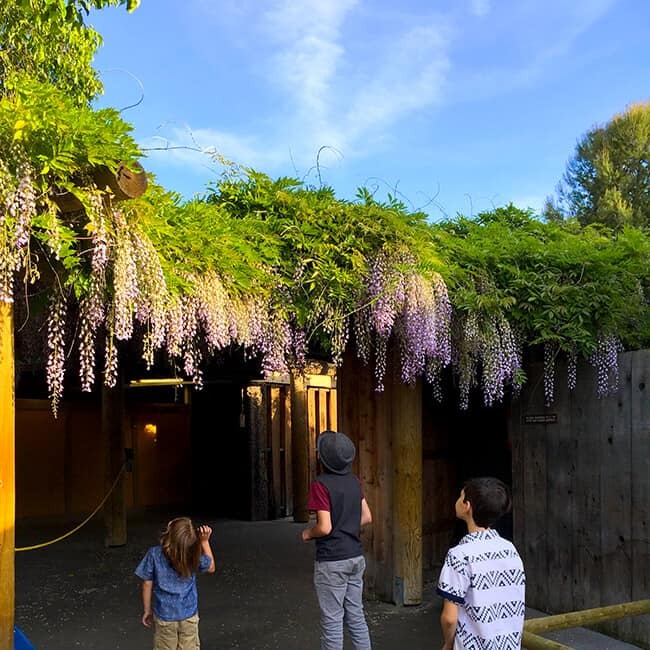 and before you leave the park, stop and check out the blooming wisteria, the oldest living thing at Knott’s Berry Farm. 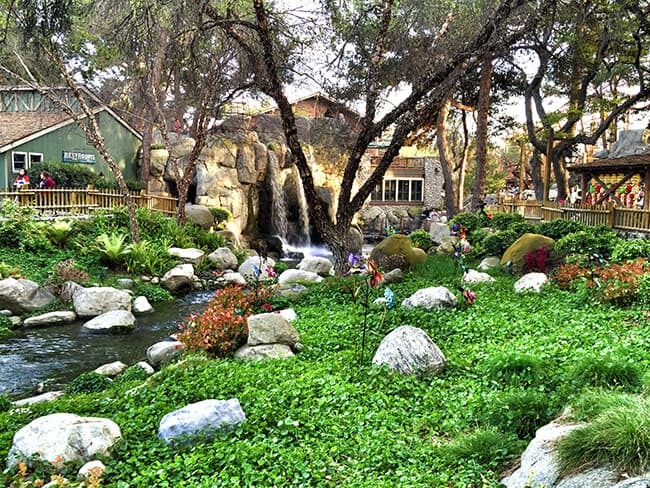 they are super beautiful and located right next to the Geode Shop near the entrance to Ghost Town. 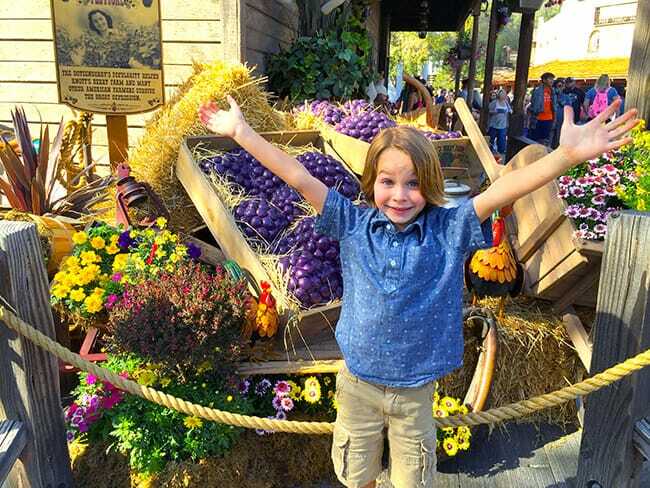 finally, if you can’t bare to leave the Knott’s Boysenberry Festival without you own boysenberries…don’t worry, you can take home your very own plant. within a couple of years, you will have a crop of your own boysenberries to enjoy during boysenberry season. 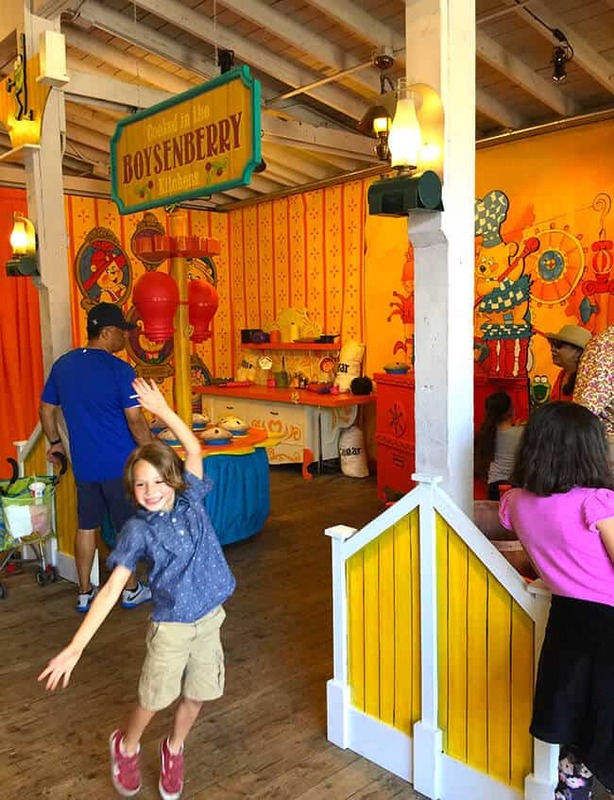 the Knott’s Berry Farm Boysenberry Festival was better than ever this year, and we are so happy that we were able to attend and enjoy some of the great boysenberries foods. 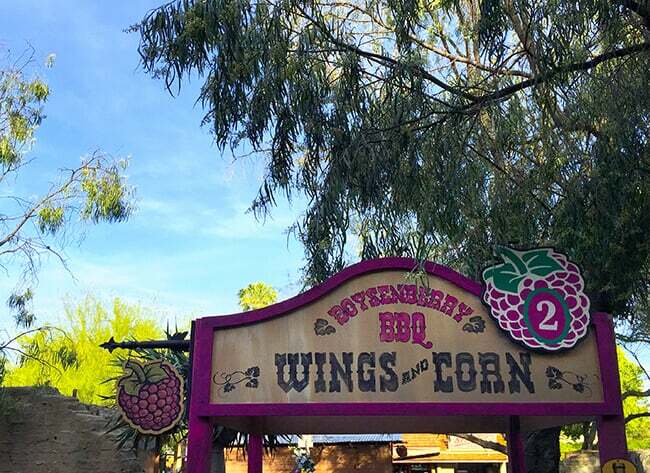 the Boysenberry Festival only goes for tow weeks, so hurry and visit before it ends this year on April 3rd, 2016. happy boysenberry eating!!! !